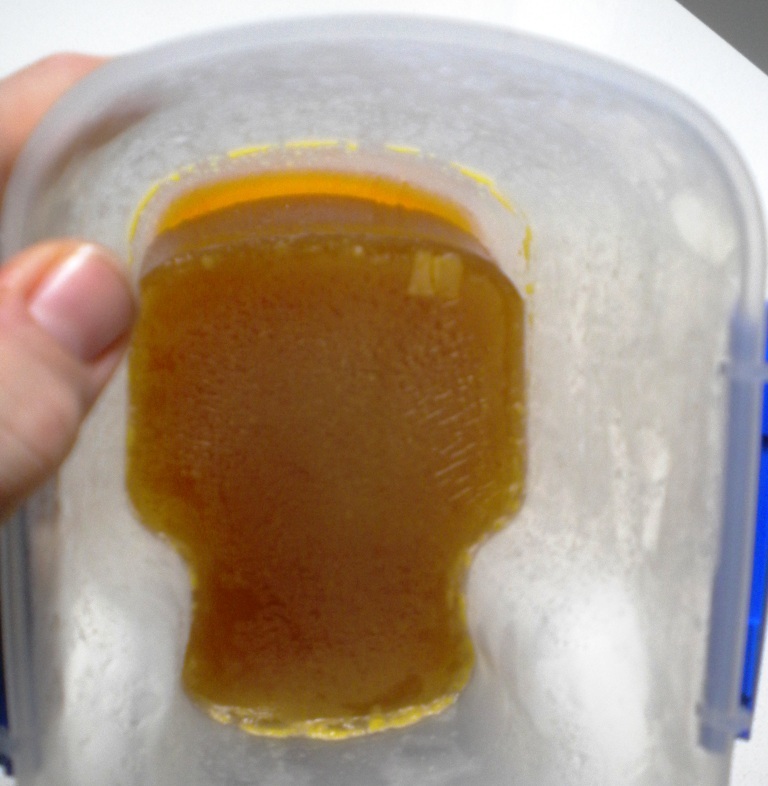 The Brown chicken stock recipe was originally Heston Blumenthal’s (How to cook like Heston) and I modified it to extract more minerals from the Chicken bones, and to have slightly fewer net carbs, without sacrificing any of the flavour. 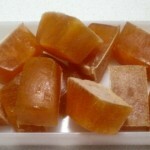 These stock cubes will reappear in many of our recipes when we need to add liquid to a pan, or flavour to a sauce. This stock should taste like Roast chicken. The trick that Heston uses to intensify this flavour is to sprinkle instant skim milk powder over the skin of the chicken prior to roasting it. This intensifies the browning process (called the Maillard reaction) that makes the chicken skin taste like Roast chicken. One problem with skim milk is that it has 58g of sugars per 100g. I have found that you can get an identical reaction from using instant full-cream milk powder which has 38g per 100g. Also I found that we only needed just 5g of the powder to give a very light dusting which is about a quarter of the amount that Heston used – and we had almost the same effect. The next change is that I reduced the Carrots and Onions – which have quite a lot of sugars, and added Bay Leaves, Thyme and Parsley which added flavour without contributing carbohydrates. Finally I added a little vinegar not strictly for flavour, but to leach more of the minerals from the bones into the stock. 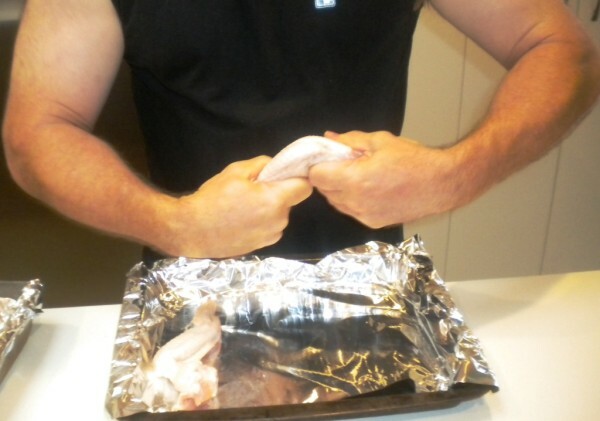 It will also help to break down the collagen in the chicken into gelatine. The other trick that Heston used, was to cook his stock in a pressure cooker pot on the stove to try to keep as many of the volatile aromatic essences that give his stock it’s rich flavour in the stock rather than boiled off into the atmosphere of his kitchen. 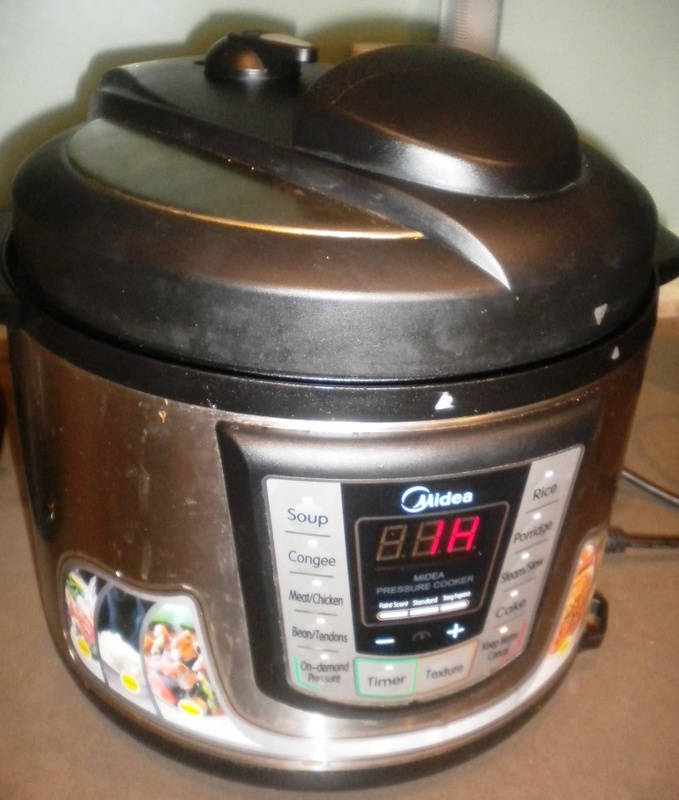 I found one of the easiest ways to do this, was to use an Electric pressure cooker. A manual pot you have to watch – an electric one you can set and just leave it to run it’s course. Mine cost under $50 from the local big box store. It came with an utterly inscrutable manual that may have been understandable in the original chinese, but had since been translated into English word salad. It has many pre-programmed buttons that promise to make soup or congee – thanks to the hilariously useless manual I’ve never been able to use them. I just use it’s manual feature to set the time that I want to cook for under full pressure and it manages everything else. Thanks to the Low-Fat diet craze, lean Chicken breast is one of the most popular proteins on the market but that’s not actually the tastiest part of the chicken. 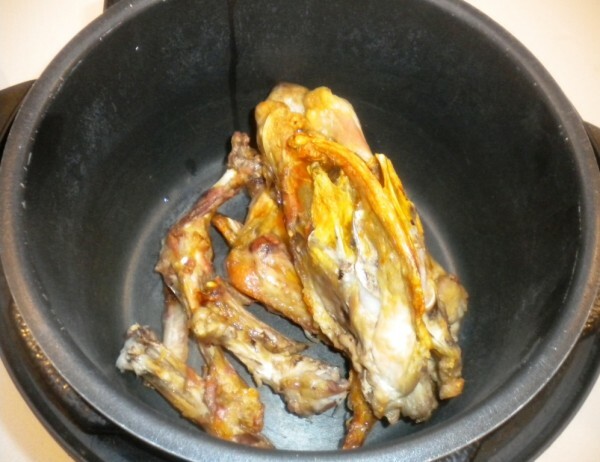 The good news is that the better parts of the chicken are cheap because they are just seen as waste – and yet the thighs and wings are the most flavoursome parts of the chicken. 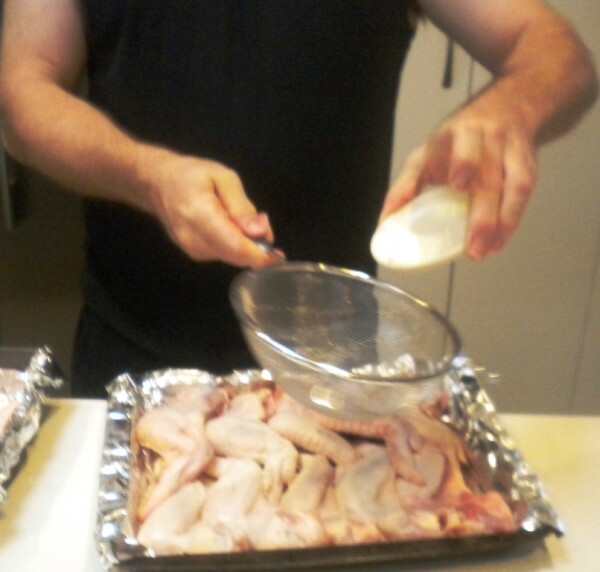 We’re going to a make this stock from the bones of a chicken carcass that we removed the meat from for another recipe, and to that we’ll add in a dozen chicken wings. 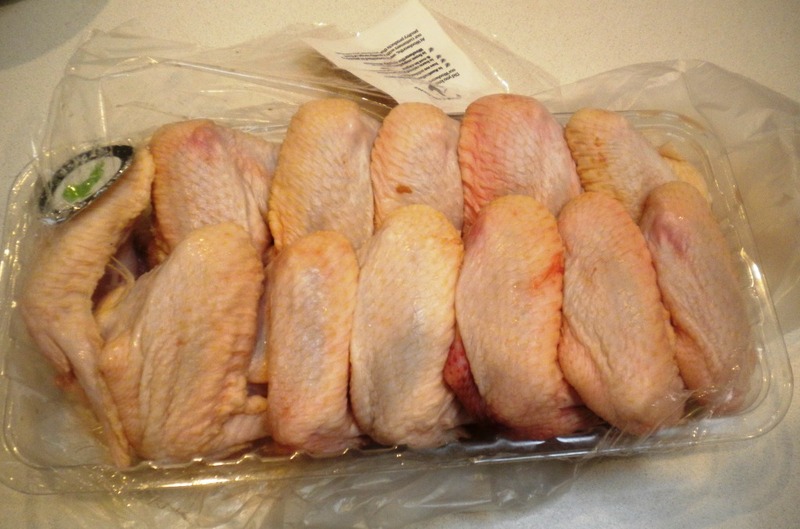 Other than taste the other thing the wings add to this stock is the collagen which under heat and pressure and a little acidity breaks down nicely into gelatine and this give us a nice mouth feel as well as an excellent source of protein. You’ll know you have a good stock when you chill it in the fridge and the gelatine in it sets. 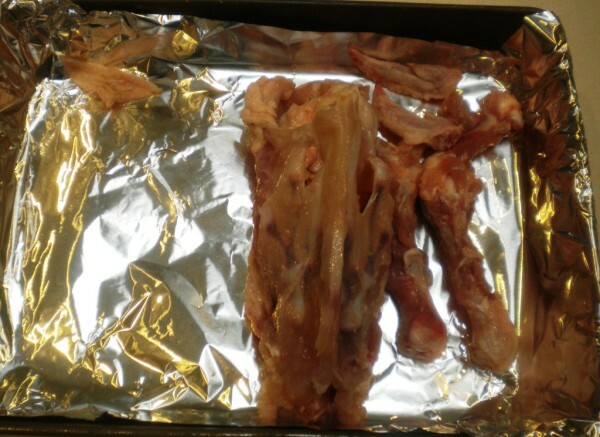 Roast the carcass bones on a foil lined tray at 200C until browned. Break the joints of the Chicken wings by bending them backwards - this will let you lay them flat on a tray so we can roast them evenly. Put the full-cream milk powder in a small saucer so you can lightly dust the wings with it through a sieve. You don't need a thick coating. The point is not to roast the milk powder but just to catalyze the reaction in the chicken skin. 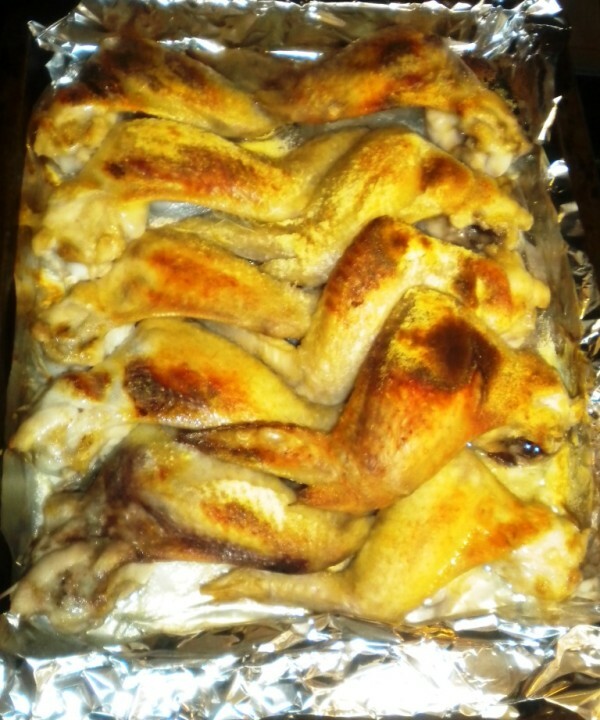 Put the wings in the oven with the carcass bones. It will take about 20-30 mins to brown one side, then flip them all and brown the other side. 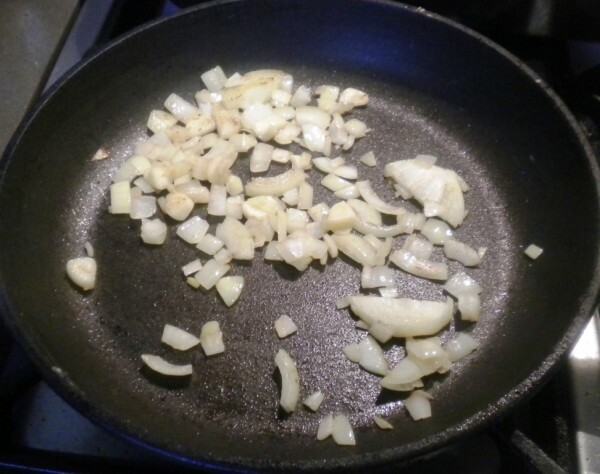 Brown off the onions in a frypan. 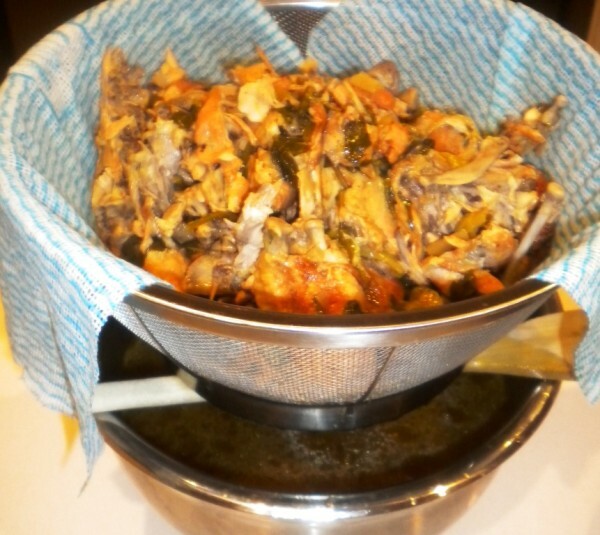 Put the browned chicken bones and wings into the pressure cooker, add the Bay leaves, lemon thyme, carrot, onions, and Parsley. The pans will be glazed with a mixture called "fond" - that is pure flavour, don't throw it in the sink. 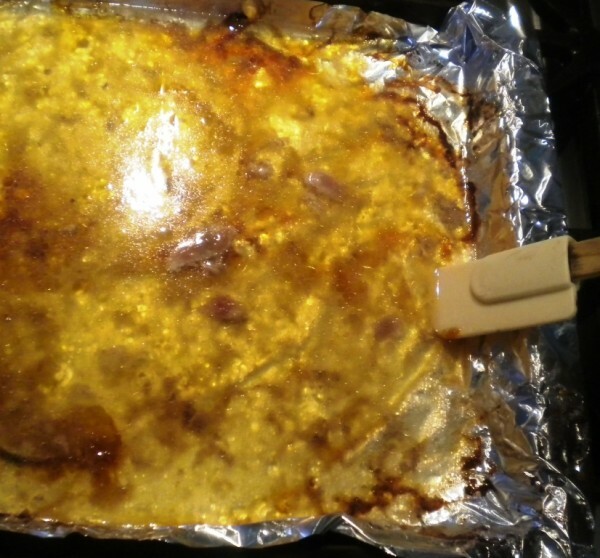 While the pans are still hot add a cup of water and use a spatula to be sure to capture all the fond. Add the deglazing liquid from the previous step and about 2 litres of water to cover the chicken and vegetables. Cook under high pressure for 2 hours. 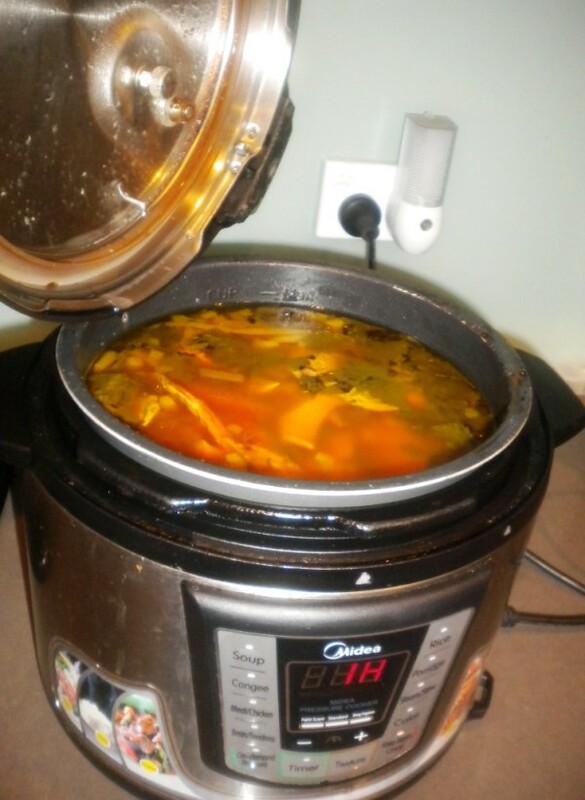 On my Electric cooker, the maximum I can manually set is 1 hour, so I run it through two complete 1 hour cycles. 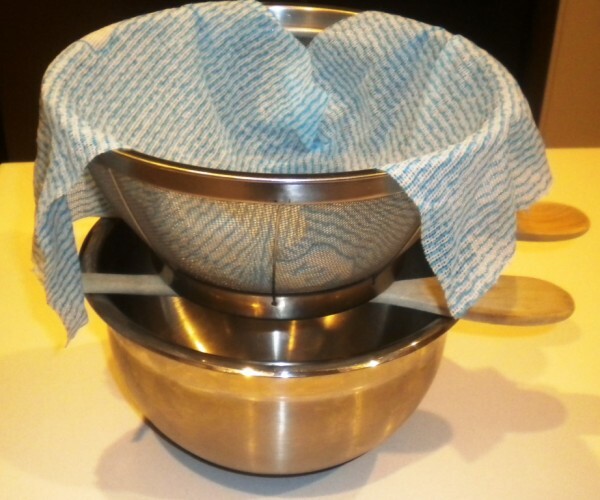 Put a fresh kitchen towel, or muslin cloth in a strainer and set it over a bowl with at least a 2 litre capacity. The wooden spoons are a cunning contraption to make sure the strainer doesn't fall into the stock bowl. 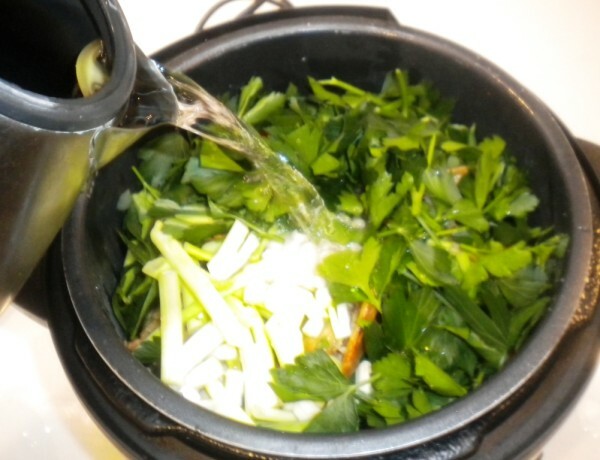 Strain the stock for a few hours until no more liquid drains out. You can toss the solids - there won't be much flavour at all left in them. 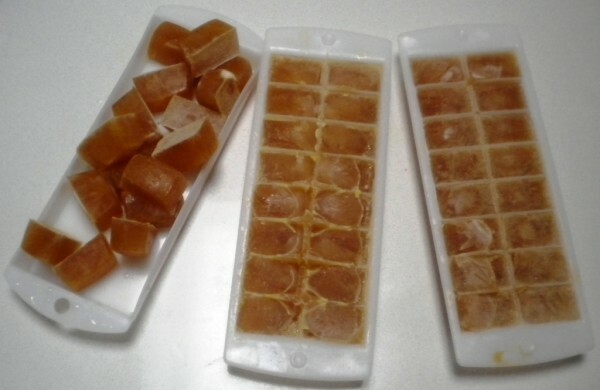 Pour the stock into ice cube trays to freeze, and you can store these until you need them in ziplock bags in the freezer. This is sooooooo good! It is a life saver. A cup of this goes all the way down to your toes! pressure cooker is just faster. These days I cook broth for 2x 60 min pressure cooker sessions, or maybe 12+ hours in the slow cooker/crockpot.